Wine Campus™ is a private wine school I founded in the late 1990s and still proudly run. It pioneered in delivering classes over the Internet and now offers first-class online education with an edge! All our courses lead to a coveted certificate. E-learning might be a novelty to some of you visiting for the first time. This site will give you a broad picture. If you are interested in applying for admission to one of the online courses but are unsure if it is for you, why not take up a free class to see how easy it works? With the help of contributors, each one an expert in his field, Wine Campus offers specialist tuition to a very high level to anyone. All you need is the keenness to learn, a PC, tablet or smartphone and access to the Internet. Our door is open to everybody and the enrollment procedure is easy. Hopefully this site offers you a vivid and rounded picture. Whatever your reason for accessing it, I hope you will find it informative and easy to navigate. There’s never been a better time to start learning about the most fascinating drink of all. Now you can start to master wine from the comfort of your home, or anywhere else you’d like to, at your own pace and in your own time. You will apprentice with a professional, a wine expert working in the field. The wine classes at Wine Campus are different. Specialist tutors contribute to the online course material and every student will learn under the tutelage of the school’s founder Georges Meekers. Meekers became involved in wine writing and education in the 1990s. He has contributed to international wine trade magazines with vintage reports on Malta and other upcoming wine regions. Georges’s articles have been published in all Maltese newspapers and currently he writes a bi-weekly wine column for The Times of Malta whilst running the journal on this site. 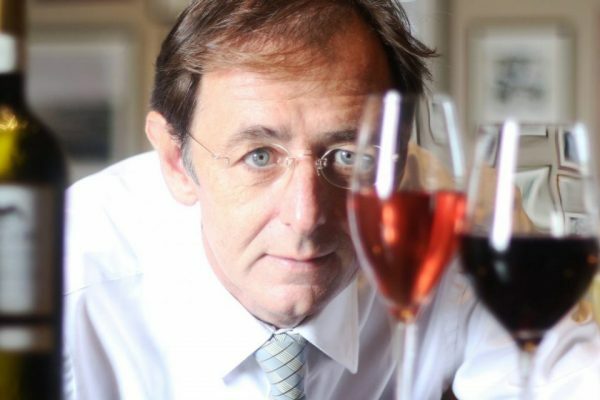 Georges Meekers is also the author of the “Wines of Malta – The Essential Guide”, the first award-winning reference book on the country’s wine industry. He has been dubbed ‘the voice of Maltese wines’ by his peers and is regarded as an authority on Malta’s new heritage wines. For long he ran winesofmalta.com, which he self-funded and published in support of the Maltese wine industry. His latest wine and photography book “Cleanskin” is yet another collaboration with Malta’s prolific photographer Kevin Casha. Outside Malta, Meekers is perhaps best known for his role as founder of the Wine School named Wine Campus. Being fluent in several languages, he gets invited as a keynote public speaker at wine trade conferences. As a ‘wine ambassador’ he has accompanied diplomatic missions such as the Maltese MEP delegation to the EU parliament, 2010. Wine educator, taster and wine professional Georges Meekers has been a passionate advocate for the preservation of what he has dubbed Malta’s G-force: the two ancient coastal native grape varieties Girgentina and Gellewza. He remains professionally engaged in the Maltese wine business at Malta’s leading winery Emmanuel Delicata. Georges Meekers is a member of the Circle of Wine Writers (UK).